ACTIVE SHOOTER — Survival is a mindset! https://shaffersecuritygroup.com/wp-content/uploads/2018/08/AdobeStock_122363790.jpeg 3000 4500 TheShafferGroup https://shaffersecuritygroup.com/wp-content/uploads/2018/08/Shaffer-logo-text.png TheShafferGroup2017-07-13 19:48:442018-08-26 02:50:36ACTIVE SHOOTER -- Survival is a mindset! Wikipedia – not my usual source for information, defines the OODA Loop as an acronym for Observe, Orient, Decide, and Act. Developed by military strategist and U.S. Air Force Colonel John Boyd. Boyd first applied the concept to aerial combat (Dog Fighting). His approach favors agility over raw power when dealing with human opponents in any endeavor. What is the OODA Loop? It is the action of an individual who can process this cycle quickly. Observing and reacting to unfolding events more rapidly than their opponent. Thereby, “getting inside” the opponent’s decision cycle and gain the advantage! The courses at Shaffer Security Group (SSG) utilize this decision cycle in every instruction. We teach you to survive by continually re-setting your opponents OODA Loop. In addition to the OODA Loop, SSG also teaches the importance of listening to your ‘Inner Voice’. Your Gut Instinct! In his award-winning and best selling book, “The Gift of Fear” , author Gavin DeBecker interviews survivors of very violent crimes. He found almost 100% of those victims had a ‘bad feeling’ or a ‘gut instinct’ that warned them something horrible was about to happen. Most people dismiss or rationalize this feeling. At SSG, we teach you to listen to your “Gift of Fear”. Having the skill to ‘re-set’ your opponents OODA loop while understanding the need to listen to your “inner voice” is critical to survive any high-threat confrontation. We teach all our clients to trust their gut. As detailed in the book, your “gift of fear” is always based on external stimuli. You may or may not be able to articulate why you feel it, but it is based on something your subconscious saw or heard and it always has your best interest. These concepts have been used hundreds of times by Dutch, Brian and Greg. Understanding the OODA Loop process and listening to their “gut instinct” has allowed them to survive many dangerous situations and armed encounters. SSG prides itself on our ability to teach using real-world examples of survival and security. Our referrals from Fortune 1000’s, not-for-profits, NGO’s, law firms, schools and other clients who have taken our courses are our best form of marketing. Don’t wait until your company, firm, business or employee to become a victim. Contact Shaffer Security Group to develop a strategic security plan to protect you both physically and legally. The Shaffer Security Group (SSG) is a fully licensed Security Consulting and Risk Assessment firm specializing in developing security, intelligence and training solutions designed to protect your business or firm. Internal Investigations and Special Event Security Planning. SSG also has a 178-acres Tactical Firearms Training Facility. Contact Shaffer Security Group for your Risk & Threat Assessment and let us develop a strategic security plan utilizing security, intelligence & training solutions to ensure the safety and security of your business. And a host of other large-scale, high threat, “Special Events. SSG uses “best practices” employed by U.S. law enforcement, as well as strategies that have been effective for local law enforcement and private security. We will develop a detailed and thorough security plan for your event. The focus is not just on national and regional events, but on small private or public events. Special Events often include a variety of VIPs and may be targets for terrorist, criminals and demonstrators. The variety of approaches discussed can be tailored to large or small, public or private special events. SSG will address the Challenges & Principles weighing the security measures that conceivably could be taken. We consider street closures, searches, and highly visible tactical units, against the jurisdiction’s desire to produce events that are enjoyable, well attended, and profitable. We help you develop the Leadership Authority & Structure and identify the Subcommittees you will need for each functional area. Greg Shaffer and his Team will help in the Threat & Risk Assessment looking at (8) factors that are relevant to private and public events; ie: Size of the Event; Duration; Threat; Historical or Political Significance; Location; Media Interest; Number of VIPs; Cultural, Political, Religious Background of those attending. and other factors and considerations learned through experience. As any Special Event security manager will tell you, no two incidents are exactly the same. Special Event planning, response and management are often case-by-case operations. For venue security leaders, this can mean revising or even rewriting the “playbook” for each event. Security for Special Events is like the theater – it’s a live performance with a huge cast and a lot of moving set pieces. No two performances, no two events, are identical. There are a multitude of things that can change without notice, and as in theater you must be prepared to adjust your role accordingly. It can be different every time, but the bottom line is to ensure a safe and enjoyable event where security is looked at as an asset, and not a functional liability or expensive requirement. Contact Shaffer Security Group today to develop, implement & manage the security plan for your large or small, public or private, Special Event. We will work with local law enforcement, private security, vendors, caterers, and your staff to ensure your event is fun, enjoyable and safe. STAY VIGILANT THIS 4th of JULY HOLIDAY! The Threat is Real! This 4th of July holiday do not forget to Stay Vigilant! Shaffer Security Group (SSG) has your safety & security in mind! A Dallas-based Risk Management and Security Consulting Firm specializes in Counter Terrorism & Active Shooter Response. I do not want to sound like an alarmist or a paranoid security professional; but I do want to remind you to please remain “Situationally Aware” this Fourth of July. Be vigilant and be aware! The Threat is Rea! Look for the abnormal in the environment – what doesn’t fit?. Have an Emergency Action Plan before you leave the house. Have an Emergency Rendezvous Location identified. Where will you and your family rendezvous in the event of a terror attack? How will you communicate (cellphones may be rendered inoperable by either LE or the terrorists)? Have an alternative communication plan! Do you have a “Code Word” which will ensure all your family members ‘Stop & Listen’ to what you’re about to say? Listen to that “inner voice” and when it tells you something is amiss,… take a moment, a deep breath, and find out what’s not right. That “Gift of Fear” (a great book by Gavin DeBecker), that “Inner Voice”, is based on an external stimuli that you may or may not be able to articulate. Additionally, the “Gift of Fear” always has your best interest in mind. Never dismiss your gut instinct or that “Gift of Fear” – it will never lie to you! These are just some of the few things you and your family can do to be better prepared. Below is a Washington Post article where I am asked about last years Nice, France truck rampage attack which killed 89 people. This low-tech, easily planned, low-cost terror attack is still a real threat here in the United States. This 4th of July celebration is the perfect time for a similar attack! Be Safe! Be Aware! Have Fun and Happy Birthday America! https://shaffersecuritygroup.com/wp-content/uploads/2018/08/Shaffer-logo-text.png 0 0 TheShafferGroup https://shaffersecuritygroup.com/wp-content/uploads/2018/08/Shaffer-logo-text.png TheShafferGroup2017-06-29 20:32:332017-06-29 20:32:33STAY VIGILANT THIS 4th of JULY HOLIDAY! The Threat is Real! The Partners of SSG are continually reading, researching and learning from past violent attacks. Hence, here is a great article from the CLARION PROJECT on “Lesson’s Learned” from the recent Manchester bombing. SSG specializes in creating, managing & implementing Active Shooter Response Plans for your company. We utilize Security, Intelligence & Training Solutions designed to protect business. SSG has real-world experience in protecting organizations, facilities and special events – both domestically and abroad. We pride ourselves in having international police and intelligence agency contacts whom we can leverage to provide you the most up-to-date, real-time, intelligence on current threats. Shaffer Security Group (SSG) will work with your Legal Department, Human Resources, Security and C-level executives to develop a strategic plan to recognize & prevent Workplace Violence. SSG has worked with numerous firms developing their Security Plan. These plans emphasize how to recognize and prevent workplace violence. We have worked with Fortune 100’s, Non-Government Organizations, Charitable Groups, Churches, Schools and Manufactures. Shaffer Security Group will teach you to recognize “Pre-Incident Indicators” and help you develop a portal to which your employees can report suspicious and potentially dangerous behavior. Our experts know the security of your firm is based on teamwork. We not only work with your Human Resources (HR), Legal Team, Chief Security Officer & your C-level executives; but we also work with your employees to develop and communicate a Security Plan that meets your firm’s specific needs. The most common indicator for Workplace Violence is “Domestic Abuse” at home. Does you firm have an established, effective means by which your employees can report domestic abuse? Is your reception aware of these potential threats? Do you have intervention capable employees to step in and help diffuse conflicts or violence? What are your legal requirements to protect your employees? Contact Shaffer Security Group for your Risk & Threat Assessment and let us develop a strategic security plan utilizing security, intelligence & training solutions to prevent workplace violence. Fatalities from terrorist attacks has increased 744 percent from 2007-2011 to 2014-2015. The average annual fatalities has increased from roughly 3,200 deaths per year to approximately 27,000 deaths per year. The number of terrorist attacks during that time has increased by roughly 500 percent. As a result of these findings, it leads us to ask, what is your plan? At home, the Office, your school? SSG can help you develop a Security Plan designed specifically for your needs. You must to have a PLAN! We can train you and your staff to identify pre-incident indicators and to respond effectively during high-stress, violent encounters. We will help you develop a strategic plan using security, intelligence & training solutions to make your business and your life safer. Does your firm have an Active Shooter Response Plan? Has your plan been communicated to your employees? Do you routinely have Active Shooter Response Drills? As you are aware, the national conversation and the most recent statistics show that violence in the workplace is becoming more common. According to the U.S. Bureau of Labor Statistics, about 5% of all businesses experience an instance of workplace violence each year. For larger organizations with over 1,000 employees, this rate is increased tenfold to 50 percent. A 2014 report from the FBI found active shooter incidents in the U.S. now occur on an average of once a month. Of these incidents, almost half (45.6 percent) occurred at a business while nearly a quarter (24.4 percent) occurred at schools and institutions of higher learning. Although active threats can vary from incident to incident, the common threads found throughout can be woven together to create an effective and successful safety program. The following are bullet-points from lessons learned gleaned from research & years of experience fighting terrorism both on and off the battlefield. I help businesses develop tools for building a solid foundation for a safety-minded workplace. Then, I teach them how to respond when violence visits. More often than not, active threat training is the elephant in the room. Everyone has seen or heard of incidents, but are reluctant to take the steps toward mitigation. The reasons may vary. From believing it’ll make employees more fearful than empowered; to worrying the training might not be “right” for the team. However, looking the other way is not a solution to any problem, much less one with deadly consequences. Statistics show an active shooter incident is more of an ‘when‘ than an ‘if‘. Unfortunately, violence doesn’t discriminate on where it can take place. It could happen at your headquarters, warehouse or storefront. All aspects of your business should be involved in preventative measures. Breaking through the barrier of apprehension begins “One Team, One Goal” approach. Leadership should evaluate the type of training that fits their organization’s culture. Supervisors should communicate the importance of such training to employees, and clearly explain how the training will be implemented. Violence is seldom a cookie cutter affair, and a “one size fits all” response is an ineffective solution. Conversely, having too many threat-specific responses can be confusing, if not outright dangerous. While different threats do warrant varying responses, a series of “stovepipe” procedures can cripple an organization during a high stress scenario. All active threat response plans should be built upon the same principles. Even if the minute details are lost in the heat of the moment, team members can still make informed decisions to ensure their safety. Streamlining processes encourages a quick implementation and retention of information. Knowledge increases confidence, confidence increases decisiveness, and it is decisive action in a critical incident that saves lives. As a result of the number of Active Shooter Events (ASE), there is a movement for companies to have a Plan of Action. For better or worse, increased exposure of violence in the workplace means it an issue thrust into the forefront. A strategy based on “it won’t happen to me” is a folly that can irreparably destroy a brand. An effective response plan doesn’t begin when the incident occurs, but as soon as training can be conducted. Empowering employees with tools on how to identify and communicate possible high-risk indicators such as signs of growing anger, depression or erratic behavior can be just as, if not more effective, as decisive action during an active threat. A cohesive “one-team” mindset supported by a response plan based on fundamentals cannot take place without clear communication before, during, and after a critical incident. The language plays a critical role in an active threat response program and can dictate the program’s success or failure. Such language should be consistent with current policies and procedures so the program is both effective and legally defensible. 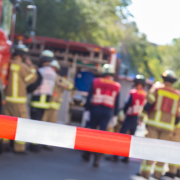 Communication during a critical incident is not limited to employees. It extends to customer interaction as well. How a company communicates around and with customers during an active threat incident can play a vital role in minimizing the harm as a result of panic. First is the use of a code like “Code Adam”. This will notify employees to a specific issue, while customers and vendors remain unaware of any possible threat. The second option is to use “plain English”. This will notify everyone quickly which improves situational awareness. For example, instead of using “Code Red” for an active shooter incident, the alert would announce there is an active shooter situation in progress. This will allow employees, customers and vendors to take decisive action. Every active threat situation will unfold differently. External factors such as the weather, type of environment, and other variables can present unpredictable outcomes. By being proactive, such as implementing sound training strategies, companies can be prepared for and respond to an active threat. Through the empowerment of its most valuable assets – its people – companies can mitigate risks. Thereby, protecting the safety of its employees, customers, and community. SSG specializes in designing & implementing Active Shooter Response plans for your business, school, or firm. We work with your CSO, Legal, HR and Supervisors to develop a portal to report pre-incident indicators. We help develop and train your Crisis Management Team; and we will train your entire staff in how to identify threats and how to respond in the event of an armed assault. Contact Shaffer Security Group for your Active Shooter Response training today. Shaffer Security Group (SSG) has helped dozens of Fortune 100’s to develop a “Strategic Security Plan” to help identify & prevent workplace violence. The below article copied from the National Law Review perfectly sums up what SSG teaches in our Security Awareness & Protection Course for Businesses. Please take the time to read the article below and contact SSG to come and speak to your employees on how to identify behavioral indicators and how to respond effectively to violence in the workplace. Daily reports of incidents of domestic violence are an unfortunate reality across our nation. Recent events in San Bernardino, California, and Cookeville, Tennessee, remind us that domestic violence issues sometimes spill over into the workplace, sometimes causing loss of life and/or serious injuries. Domestic violence is defined as violence at the hands of a current or former intimate partner or family member. It is often physical violence, but just as often, it is psychological and emotional as well. Domestic violence occurs at about the same rate across all ethnic, racial, and cultural lines, and no relationship between domestic violence and educational or economic status has been established. According to one statistic, 1 in 5 women in the United States is or has been involved in an abusive relationship, and 44 percent of Americans say they know of someone in an abusive relationship. As troubling as these numbers are, what’s equally troubling is that there seems to be no safe haven from domestic violence. Notably, the workplace is frequently one of the places victims feel safest and seek refuge, but it is also one of the places where abusers know their victims can routinely be found. The leading cause of death for women at work is homicide, and 33 percent of women killed at work are killed by a current or former intimate partner. Given these statistics, it’s in employers’ interests to ensure that they are informed on the best ways to protect employees, prevent domestic violence incidents in the workplace, and respond to violent offenders who enter the premises. Employees dealing with domestic violence issues are frequently reluctant to share their circumstances because they fear the social stigma of victimization or because they fear workplace reprisals. Comprehensive workplace violence policies may help proactively and effectively address these concerns. Such policies can encourage employees to come forward when they need help with the assurance that their personal circumstances will not be exploited or used against them in the workplace. Anti-violence policies can be used to change workplace culture and create an environment where domestic violence victims are encouraged to alert appropriate workplace contacts about domestic violence threats—even when the threats may not seem serious. In this regard, it’s helpful for employees to have consistent and reliable avenues to confidentially report threats and concerns about violence and be educated about the importance of doing so. Once threats and concerns are reported, an employer’s security, safety, and legal personnel should be able to take all steps to secure the workplace. Strong general safety procedures often help reduce the number of domestic violence related incidents in the workplace. Effectively managing egress and ingress procedures, visitor protocols, and general premises security (e.g., secured parking lots and security cameras) are vital to the creation of a safe workplace campus. Other preventive steps often include informing employees about threats on a “need to know” basis, alerting local law enforcement about violence concerns, and seeking legal restraining orders. When an employer’s actions consistently demonstrate a commitment to safety, they have the dual effects of limiting perpetrators’ ability to inflict harm and inspiring employees to report their concerns. While there is no single profile of a victim or perpetrator of domestic violence, there are behaviors that have been shown to frequently precede extreme acts of violence. It is important for human resources (HR) professionals and managers/supervisors to familiarize themselves with the warning signs so that timely intervention and prevention is possible. The behaviors that are highly correlated to domestic violence include the following. Tardiness/Absenteeism. Twenty-five percent of women who claim that they are in abusive relationships report that the abuse has caused them to be late to work on more than one occasion. Employees in abusive relationships lose an average of seven days of work time every year due to domestic violence. Inexplicable Injuries/Frequent Reports of Accidents. It is very common for those in abusive relationships to appear at work with black eyes, eye swelling, and other bumps and bruises. Frequent Calls/Visits to the Workplace. Abusive behavior is most often an attempt to control the individual who is being abused. The perpetrator’s frequent visits and calls are an effort to stay informed as to whom the abused individual is talking and with whom the abused individual is visiting. Threats. Threats of violence are intended to direct behavior. An abuser often uses threats of violence to control the relationship. Moreover, it is not uncommon for an abuser to threaten employees who come to the defense of an abused individual. Employers can educate themselves and their employees about the signs of domestic violence and the actions individuals and organizations can take to safely intervene. Front line supervisors are typically the first to observe these behaviors, and employers need their immediate feedback about concerning behaviors. Additionally, all employers can empower their employees to bring concerns about suspected abuse and domestic violence to the attention of the workplace crisis management team as soon as concerning behavior is observed. Acknowledge the Behavior. To establish a culture of dignity and respect, address inappropriate behavior in the earliest stages and by the closest supervision level. All supervisors can be trained to conduct counseling sessions with employees as soon as they notice behavior indicative of an employee having trouble. Document and Report to HR. First level supervisors are the eyes and ears of the organization. They have more face-to-face contact with employees than any other level of management. But they need not be alone in dealing with potentially problematic employees. Even when the appropriate intervention has been made, supervisors can be instructed to make sure that they are not making decisions in vacuums and to make others (HR, security, upper management, etc.) aware of concerns about employees. Make Referrals and Get Others Involved. Employers should make sure that they are taking full advantage of the resources available to them. As soon as issues arise with employees, employers can consult with their employee assistance program (EAP) to find out what resources are available for employee counseling. If threats have been made, it would be appropriate to contact local law enforcement. Employers’ workplace violence policies work best when they are widely disseminated and explained, in detail, to employees. One of the most important things an employer can do is inform all of its employees of what the company has done to prevent workplace violence and what it is they can do to support the company’s efforts. Employees suffering from domestic violence must understand that their employers are there to help keep them safe in the workplace and the role that they play in helping to keep their coworkers safe. Employers can publicize their new or revamped workplace violence policies in a number of ways, for example, by posting the policy in common areas and having new employees sign off on the policy. What Should Your Policies Say? Importantly, employers should inform employees that in the event of an actively violent incident, they have the obligation to remove themselves from harm’s way (i.e., run). If they find that running will place them in danger, they should find shelter in place (i.e., hide). As an absolute last resort, employees should know that you do not want them to be victims. They should do all that they can to survive a violent altercation (i.e., fight). Convey to employees the expectation that they will help establish and maintain a violence-free workplace, and encourage them to report their concerns to HR. Preventing workplace violence incidents in the workplace requires a group effort. Workplaces are safer when all employees are educated about the signs of domestic violence and informed about the steps they can take to prevent violent incidents. Employers may want to take efforts to ensure that their workplace violence policies are robust and constantly evolving to respond to potential threats. It is ultimately an employer’s preparation and commitment to protecting its employees that gives it the power to save lives. © 2017, Ogletree, Deakins, Nash, Smoak & Stewart, P.C., All Rights Reserved. Special Event Security Planning & Executive Protection are just two of the many Security Programs offered by SHAFFER SECURITY GROUP (SSG). Shaffer Security Group was proud to be invited back for the second year to help in the design of the security plans for the world’s largest Earth Day celebration – Earth Day Texas (EDTx 2017). Working with the fine staff of EDTx, along with BWEISS Entertainment, Platinum Security, D&L Security, Fair Park Management, and the Dallas Police Department we were able to provide a detailed security plan which ensured the safety & security for the over 150,000 visitors to Earth Day Texas. Shaffer Security Group (SSG) has decades of experience conducting & planning security for high-profile ‘Special Events’. SSG is comprised of former FBI Counter Terrorism experts, retired U.S. Army’s Special Operations Command Operators, and retired city police officers. We will customize the security plan for your event and work closely with you, your staff, local police & private guard forces to insure your event is secured. Our written security plans are detailed & concise and are based on our comprehensive security assessment. As a result of our liaison contacts in both the Law Enforcement and Intelligence communities across the globe, we can provide you the most up-to-date intelligence & threat information. Pictured is SSG Founder Greg Shaffer and members of his elite team providing Executive Protection for the 2017 Earth Day Texas gala. The information contained in this website is for general information purposes only. We are not attorneys and the information on this website should never be used or taken as legal advice. The information is provided by Shaffer Security Group, as is.